Jordon Cooke didn’t take the last place Kamloops Blazers lightly, but it sure looked like his teammates did. The 20 year-old goaltender was the only reason why his team was able to earn their 18th win of the season by escaping with a 3-2 win Friday night at the Interior Savings Centre. Cooke wasn’t fighting the puck, it was sticking to him like glue in the one goal win. It was a different story for his teammates, who looked like a team that has practiced far too much and need to play a series of games. Give the Blazers credit for making life miserable for the Rockets. The last place team in the Western Conference worked their tails off and deserved better. But when you are struggling – the Blazers have lost 9 in a row – wins are hard to manufacture even when the effort is clearly there. With ample chances to score, the lowest scoring team in the conference were only able to get two pucks past Cooke, who was named the first star. The best forward for the Rockets was Zach Franko. I thought he was the most dangerous player on the ice for the visitors. Franko had a goal and an assist but could have had more. The 20 year-old found some terrific scoring areas but either missed the net or couldn’t get the shot off. The best Blazer in my opinion was Josh Connolly. I thought he logged tons of ice time and was as good in his own end as he was at the other end of the ice. Connolly scored the tying goal on the power play with a nice shot that beat Cooke to the blocker side. The game winning goal was ugly, much like the Rockets game. Tyson Baillie fired a puck that hit the post, went high in the air where it appeared to go off the 18 year-olds arm and past Blazers goaltender Taran Kozun. As rough as the Rockets game was on so many levels, they hit at least five goal posts with forward Colton Heffley striking metal twice. Kozun also made a nice save on Madison Bowey when the game was still scoreless and the Rockets were on the power play. As critical as I could be in the Rockets effort, lets remembers their top two defenceman Damon Severson and Madison Bowey came off two emotionally charged games at the Subway Super Series on Wednesday and Thursday of this week. The two arrived in Kelowna just after 8 am Friday morning which meant they got up at 5 am for a flight out of Lethbridge. The win was the Rockets 7th straight on the road. The Blazers are winless now in 9. The Rockets are within four points of Everett for first place in the Western Conference. Tonight’s Preview: The Kelowna Rockets face the Kamloops Blazers in a home and home series this weekend. The Rockets host the Blazers tomorrow night. These two teams met in a home and home series to open the regular season on September 20th and 21st with the Rockets winning both games by 5-2 scores. Since those two games, Kelowna has won 16 more times while the Blazers have lost 16 more games. Following this weekend series, the two teams meet again December 27th at Prospera Place in the first game for both following the Christmas break. The Rockets are coming off a 4-1 win in Tri City last Friday night. Overall, the team has won 6 straight games on the road, having out-scored the opposition 27-13. In four of those six road games the Rockets have allowed a single goal. Kamloops, Calgary and Saskatoon owned 8 game road winning streaks last season – the longest in the WHL. The Rockets won 7 straight road games back in the 2010-2011 campaign between February 23rd and March 18th. Overall, the team has won 10 of their last 11 games. Next week the Rockets host Vancouver Tuesday, Everett on Friday and Kootenay on Saturday December 7th. Severson/Bowey battle Russians: Defencemen Madison Bowey and Damon Severson return to the lineup tonight after participating in both games for Team WHL at the Subway Super Series. Bowey picked up an assist in the two games against the Russians while Severson, who was named assistant captain in last night’s 4-2 WHL win, was held off the score sheet. Rockets GM Bruce Hamilton is heavily involved with Hockey Canada’s management group. This and That: The Rockets begin a portion of their schedule where they will play 11 games before the Christmas break. Those 11 games will be played in 20 days….In the first two periods of their last two games, the Rockets have allowed a combined 19 shots on goal….The Rockets have played in five shootout games this season and are 3 and 2. All three shootout wins have come on the road in Victoria, Prince George and Seattle…Dating back to last season the Rockets are 17-3-0-0 in the month of November. This season they are 8-1-0-0 while last November they were 9-2-0-0….Three members of the Rockets have been named to NHL Central Scouting’s ‘Watch List’ of the eligible players for this summer’s NHL draft in Philadelphia. Justin Kirkland, Tyson Baillie and Riley Stadel have made that list….The Rockets are rated as the third best team in Canada according to this week’s CHL Top 10 junior rankings. 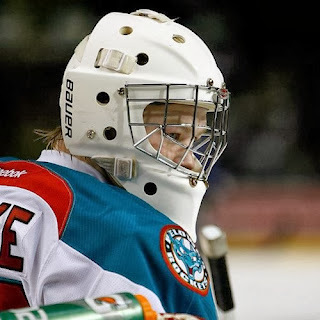 Last week the Rockets were also rated third…Eighteen year-old Madison Bowey was named captain of the Kelowna Rockets November 1st….Jordon Cooke was named WHL Goaltender of the Month for September/October. Cooke was 8-0-0-2 with a goals against average of 1.85…Sixteen year-old rookie forward Nick Merkley was named the CHL and WHL Player of the Week from September 30th to October 6th. Merkley had six points in three games including back-to-back two goal games before earning two assists in a 6-3 win over the Portland Winterhawks. 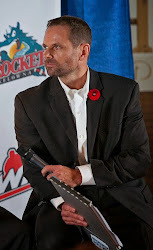 Merkley was the Kelowna Rockets first round pick from the 2012 WHL Bantam Draft…Assistant Coach Dan Lambert has been named the head coach for Team West for the World Under 17 Challenge in Cape Breton Nova Scotia December 28-January 5th….. Jordon Cooke is 31-4-0-2 at home in last 37 starts at home dating back to last season…Two members of the Rockets were named to Team Pacific for the upcoming Under 17 World Hockey Challenge in late December in Nova Scotia. Nick Merkley and Joe Gatenby have been added to the roster. 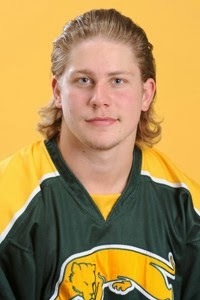 Gatenby was the team’s second round pick in 2012…Ryan Olsen had 6 goals after 11 games last season…Olsen’s best month for scoring goals last season was in November and again in January when he struck eight times. Half of his goal total of 32 came in those two months. Who’s Hot: Madison Bowey has 8+9=17 in his last 17 games….Ryan Olsen has 6+10=16 in his last 16 games and has points in nine of his last thirteen..Damon Severson has 2+8=10 in his last nine games…The Rockets have allowed the fewest goals while playing shorthanded in the WHL (12). Severson has 99 career assists – 1 shy of 100. Madison Bowey played in his 150th career last Wednesday. Colton Heffley is playing in his 194th career game tonight – 6 shy of 200. Cole Martin is a +59 over his career. He leads the team with a +21 rating this season. Nick Merkley has 2+7=9 in his last 10 games. Henrik Nyberg is more mature than even I realized. Nyberg, even as a teenager, knew he was spinning his tires in the Western Hockey League. A diminishing role wasn’t good for him nor the team he represented for two short seasons. As an older player, Nyberg wanted to make a major contribution both on and off the ice. Nyberg didn't want to be a spare part. It takes a lot of maturity for a teenager to literally look in the mirror and see what type of hockey player they have become and come to grips that the dream of playing pro or semi pro is diminishing by the day. Henrik Nyberg saw the light at the end of the tunnel and it didn’t include hockey, at least at a high level. I often wonder how many of his colleagues across the league, between the ages of 16 and 20, play for the wrong reasons when the desire is no longer there. How many play the game because of outside pressure from parents? How many lose the passion to play the game when outside influences from loved ones, fans and the media is so great? How many don’t want to play because in order to excel you have to lace up your skates 11 months of the year? When is the game no longer fun, which was the main reason they joined hockey in the first place? 'Hank', as his teammates called him, was bold enough to take action on none, some or all of these feelings. Sadly, others like him won't and instead play with no real purpose. Is it exciting to come to the rink everyday to practice? Is it fun being around your teammates or is it a drag? Would I rather be hanging out with my girlfriend and doing what normal teenagers do rather than bus around Western Canada in the wee hours of the morning? Few are scared to ask themselves those question with the fear of finding out the real answer. Whatever Henrik Nyberg’s real motivation was for leaving the Rockets now, I applaud the move. ‘Hank the Tank’ isn’t running out on his teammates. In my opinion, Nyberg is being the ultimate teammate. He isn’t going through the motions in practice or in games when his heart isn’t into it. He didn’t want to hold anyone back, specifically the other 22 players in the dressing room. Nyberg should be celebrated for a mature decision to leave the team and move on with his life. In the big picture, Nyberg is better for it and so are his teammates who will undoubtedly miss his bright smile. Thanks 'Hank' for what you did in your short stay in Kelowna and for making the bold decision by following your heart. Henrik Nyberg didn't score many goals but this was my favourite in typical 'Hank the Tank' fashion. Good on Cody Fowlie. The ex-Kelowna Rockets forward (picture to the right) is playing this season at the University of Regina and is leading his team in scoring with three goals, 11 assists and 14 point in 14 games. With GM Bruce Hamilton heavily involved, pretty much knee deep in helping Canada ice a competitive team at the upcoming World Junior Hockey Championship, the success this season of the Kelowna Rockets may rely solely on great coaching. Ryan Huska and Dan Lambert are to this point the main reason why this team is flying high in the Western Conference standings. Don't downplay the significant of good coaching. I hope the players appreciate the passion and willingness/desire to win that Huska and Lambert bring to the arena every day. The 18 year-old age group has scored the most goals so far this season for the Rockets. The 18 year-olds have a combined 25 goals scored. The 17 year-old age group is closing in with 23 goals combined. The 19 year-olds have 18 goals while the two overage players have 14 goals combined so far this season. Call it good old fashioned WHL hockey. Seattle's Roberts Lipsbergs breaks Rockets d-man Mitch Wheaton's nose with a check from behind hit a week ago today and didn't get suspended. Not even one game. If we were using old school tactics, Lipsbergs would have his head on a swivel when the two teams meet January 26th. It is a new age in hockey where retribution isn't part of the equation, but if it was and someone went after Lipsbergs, undoubtedly the WHL would act with a heavy hand. Zach Franko had 8 goals at this point last season. So far this season the 20 year-old has half as many. In case you are wondering, Kelowna Rockets 1st round pick Dillon Dube is having a solid season playing with the Notre Dame Argos in the Saskatchewan Midget Triple 'A' League. Dube is 6th in league scoring with 9 goals and 25 points in 18 games. Damon Severson is looking forward to the Subway Super Series against the Russians later this week in Red Deer and Lethbridge. "I am going to play in both games. There is high level talent over there (Russians) and there is a high level talent level with us, so I am looking forward to it." Severson will be joined by teammate Madison Bowey for Team WHL. Defensive defenceman Cole Martin is third in WHL +/- with a plus 21. It is an amazing total for a player who doesn't carry the high profile of Spokane's Mitch Holmberg or Portland's Nic Petan, who are 1-2 in league +/-. "The fact we are able to roll four lines allows us to not get tired", Martin said last week." When we are playing three pairings on defence, it makes a big difference. The other thing is we are tight as a team. I might sound like a broken record, but we are even tighter as a team than we were last season," Martin added. Over the course of the season I don't often watch the Kelowna Rockets practice. I find that I am around the team a lot as is, so a little separation is always a good thing. In saying that, watching Friday morning's pre-game skate in Tri City was interesting. Who uses the pre-game skate to reset themselves and get into a mind set, which if used properly, paves the way for success that evening? If you go through the motions in the morning, I believe it affects your play when the puck drops later in the evening. The one player that stood out for me Friday was Damon Severson. Moves like a pro and passes like a pro, even in the pre-game skate. Severson does things at high speed, almost effortlessly. Frankly, its impressive to watch. Again another long week of practice for the Rockets before back-to-back games this weekend against the Kamloops Blazers. With a soft schedule to start the season the team has elected to take time away from the rink by handing in their skates for yoga mats. Nineteen year-old Ryan Olsen likes the change. "It is hot yoga. It is pretty tough. Some guys were struggling. I was struggling. It is core work and it stretches out the body. 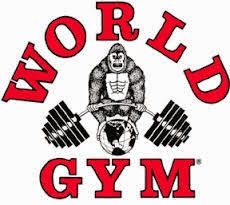 It is a great workout", Olsen added. Many people ask me why Carter Rigby isn't playing regularly. The reason? Game shape. Nothing more, nothing less. There is a pace you need to play with in the WHL. If you can't maintain that pace for 60 minutes you don't play. How do you like those apples? It was an expression often used by a school teacher of mine when we would learn something new in class. Once we came to a positive conclusion to a questions we were attempting to figure out, my teacher would proclaim, "How do you like those apples"? Translation: Pretty impressive eh? The same could be said for the Kelowna Rockets play in Tri City Friday night. A convincing and at times dominating 4-1 win. For a territorial standpoint, this game wasn't even close. The Rockets spent good portions attacking and creating good scoring chances. What amazed me the most was despite the dominant play from the road team, the Americans were still in the game heading into the third period. Madison Bowey's point shot about five minutes into the third period changed all that as the Rockets built up a 3-0 lead. I was a little surprised to see the Americans start 16 year-old goaltender Evan Sarthou. I anticipated number one Eric Comrie would get the nod but I had heard that the third year veteran might be shaking off the affects of a concussion? Regardless, Sarthou played well and was the main reason why this game didn't turn into a laugher. Sarthou is going to have to be the man when Comrie attempts to crack Team Canada's line up next month for a chance at representing his country at the World Junior Hockey Championships. How much time did the Americans spend in their own zone playing defence? When your top line of Brian Williams, Connor Rankin and Parker Bowles are a combined -9, you get the idea that keeping the puck out of the net was taking precedence over going to the attack. An interesting move by Americans head coach Jim Hiller. With seven minutes left in the third period and the Rockets nursing a 3-0 lead, Hiller elected to pull his goalie when his team was awarded a power play. It backfired, with Cole Linaker scoring into an empty net, shorthanded, to give the Rockets a 4-0 advantage. Moments later the Americans would score their lone goal on the power play. Madison Bowey just continues to score. Now 11 goals on the season, the 18 year-old has one fewer goal than his career high of 12 set last season. Bowey has five goals in his last four games. It was nice to see Rourke Chartier score. The 17 year-old had just one goal in 18 games heading into Friday's contest. A bounce back for goaltender Jordon Cooke. While not overly busy, the 20 year-old made two point blank saves in the win. The stop he made on Matthew Gelinas in the third period was impressive. It appeared Americans captain Mitch Topping was hurt in the third period and never played down the stretch. Former Rockets enforcer Jessey Astles didn't play against his old team. Now 20, Astles was serving game one of a two game suspension for a hit from behind earlier this week. Nick Merkley had two assists and has now caught Seattle's Mathew Barzal for the WHL lead in rookie scoring by a 16 year-old. Both players have 23 points. 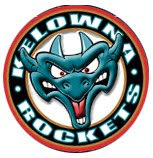 The Kelowna Rockets nine game winning streak started October 25th against the Victoria Royals in a 4-1 win and oddly enough ended against them in a 4-1 loss. Wednesday night at Prospera Place, the Royals scored three-third period goals on their way to their fifth straight win on the road. The loss was the Rockets first in ten games. The Rockets limited the Royals to just eight shots over 40 minutes before surrendering 11 in the final period. In the early stages of the game it looked like the Royals, not the Rockets had played the night before in Seattle and arrived in Kelowna just after 6 am in the morning. Victoria generated little in the way of offense yet opened the scoring on a Tyler Soy goal that veteran goaltender Jordon Cooke would normally stop. The Royals will believe the third period was the turning point, but the second period was where the Rockets game fell flat. Awarded a 5 on 3 when the game was tied at one, the Rockets had very few good looks, and when they did the majority of the shots missed the net. The timing or execution was off with many of the point shots by the defenceman going wide. Despite generating 15 shots in the period, second chances on Patrik Polivka, who was strong in the Victoria net, were few and far between. In fact, I can’t remember one multiple save Polivka had to make in the period. The Royals scored the game winner on an ugly goal where a centering feed went off the skate of Austin Carroll and past Cooke. It was just another example of the type of night it was for the Rockets, who weren’t sharp in several aspects of their game. To be honest, I didn’t think the Royals were lights out either. The visitor’s top scorers, particularly Logan Nelson, had a very quiet game. Tyler Soy was the Royals best forward and as mentioned, Polivka out dueled Cooke in goal. It was Jordon Cooke’s first regulation loss at home in 19 starts dating back to last season. Cooke is 16-1-0-2 over that stretch. Jesse Lees returned to the line up after missing 11 games with a broken thumb. The Rockets have surrendered four power play goals in their last two games. The Kelowna Rockets are a very good team. The same can be said about the Seattle Thunderbirds. So when the two hooked up in a Tuesday night game at ShoWare Center, the fans got what they expected. No lack of scoring chances, 97 shots combined, a few nice goals and some solid stops by both goaltenders. In the end the Rockets extended their winning streak to nine games with a 4-3 shootout win. Tyson Baillie scored the game winning goal in the 5th round of the 'skills competition'. It marked the third time the team has won in the shootout. All three shootout wins have come on the road. What made the shootout win so impressive was how the Rockets battled back after almost losing it. The T-Birds first two shooters scored while the Rockets first, Myles Bell, couldn't find the back of the net. But rookie Justin Kirkland faced the pressure head on and scored to keep the Rockets alive before Damon Severson also responded to essentially tie the shootout at two. After Jackson Whistle stopped T-Birds forward Ryan Gropp, Baillie played hero with the game winning goal by beating Seattle goaltender Danny Mumaugh with a forehand move that enabled the Rockets to earn their 16th victory of the season. The Rockets were forced to win the game in the shootout after failing to capitalize on a five minute third period power play. Seattle forward Roberts Lipsbergs was slapped with a five minute major and game misconduct for hitting defenceman Mitch Wheaton from behind. Wheaton was chasing a loose puck against the end boards behind his net when Lipsbergs hit him from behind, sending the big defenceman into the boards face first. After at least a 15 minute delay (could have been longer?) as medical personnel lifted the 18 year-old off the ice with a stretcher, the Rockets struggled mightily on the ensuing power play. I wasn't at all shocked that the team struggled on that five minute man advantage, especially after seeing a teammate escorted off the ice after a significant delay. One minute you are playing your heart out and the next minute you are concerned about your teammates well being. What was impressive was the Rockets were able to refocus and pull out the win as Wheaton was sent to the hospital for further medical attention. The hit. I saw it twice on the big screen in the building and it didn't look good. In fact, when they showed it a second time in the building, many fans gasped as they watched Lipsbergs hit Wheaton in the back. I viewed another angle of the hit which looks even worse. This was not a good hit. I don't believe Lipsbergs is a dirty player, but he clearly threw caution to the wind in making contact with Wheaton. The European forward will be suspended without question. He has to be. It is the only way the league can send a clear message to Lipsbergs and to others that aggressive force while your opponent is in a vulnerable position won't be tolerated. Is six games enough? The longest suspension in the WHL this season is only four games. Last season, Colin Jacobs of the PG Cougars was suspended for six games for a check to the head of an opponent. The good news is Wheaton was able to travel back with the team but won't be playing anytime soon. While he didn't receive a star in the building, I thought Damon Severson was a bright light on the Rockets d-core. The 19 year-old controlled play, made smart decisions with the puck and scored a goal. Severson looked World Junior material against a very good opponent. Frankly, I thought the entire d-core was solid in the one goal win. The line that really impressed me was Cole Linaker playing with Tyrell Goulbourne and Colton Heffley. Linaker and Heffley generated a solid forecheck and created several quality scoring chances. It was one of Heffley's best games of the season and he and Linaker specifically were tough to play against. Jackson Whistle had a strong outing in goal. Anytime you face 46 shots and stop 43 of them you have to be doing something right. Whistle's best save came late in the third period with a quick glove hand to keep the game tied at three. The shots. While the game sheet will say the two teams combined for 97 shots, it is hard for me to believe that. Both teams are gifted offensively, but those shot totals makes it sound like this was a wide open affair where defensive coverage was thrown out the window. As is always the case in Seattle, the shot totals are always generous. The Rockets are back in action tonight with a home game against the Victoria Royals before heading back on the bus tomorrow for a Friday date against the Tri City Americans.